TIP OF THE DAY! "Slow, Smooth Draws Will Provide The Optimal Experience." 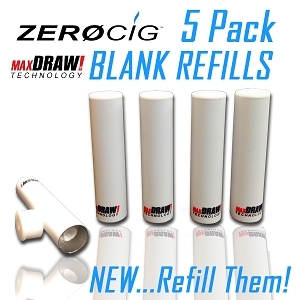 ZEROCIG electronic cigarette cartridges come in a variety of flavors. We currently offer Tobacco and Menthol that are great for traditional smokers looking for an alternative but if your looking for something a little more unique - we also have these other great electronic cigarette cartridges flavors including Mocha Coffee, Pina Colada, Banana, Chocolate, Strawberry, and Clove!